PHOTOS of Anniversary Events! 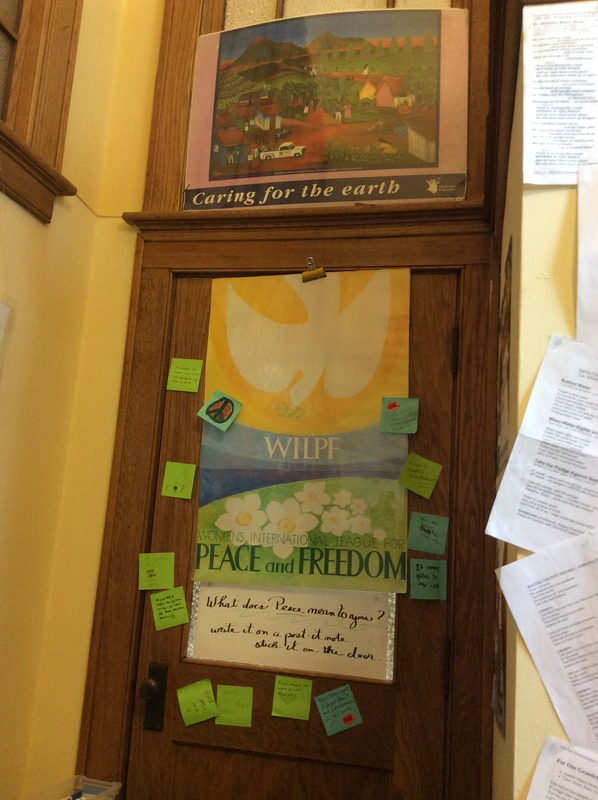 | GROWING WILPF! Branches are encouraged to send photos of events to mbgardam@gmail.com, for posting here. 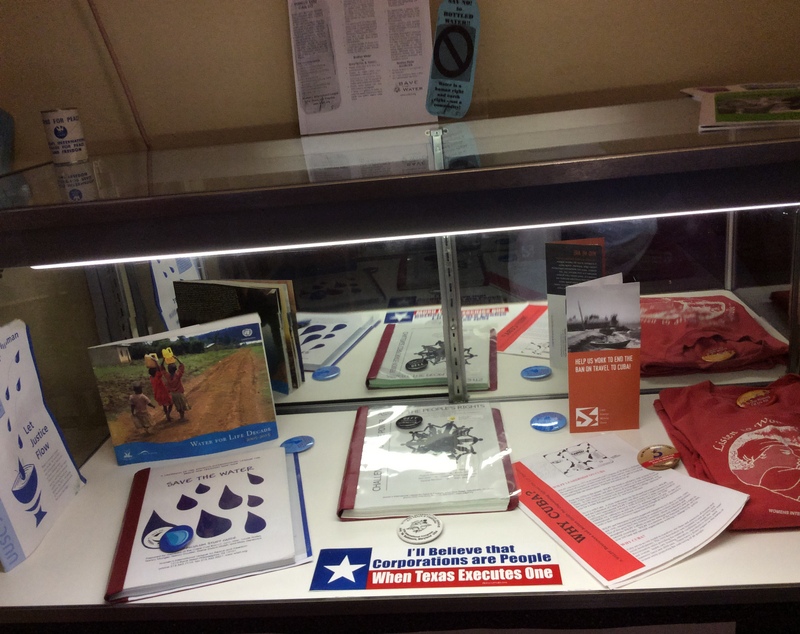 BLOOMINGTON, INDIANA WILPF sponsored a display at the Monroe County History Museum from April 1st through June 5th, 2015. 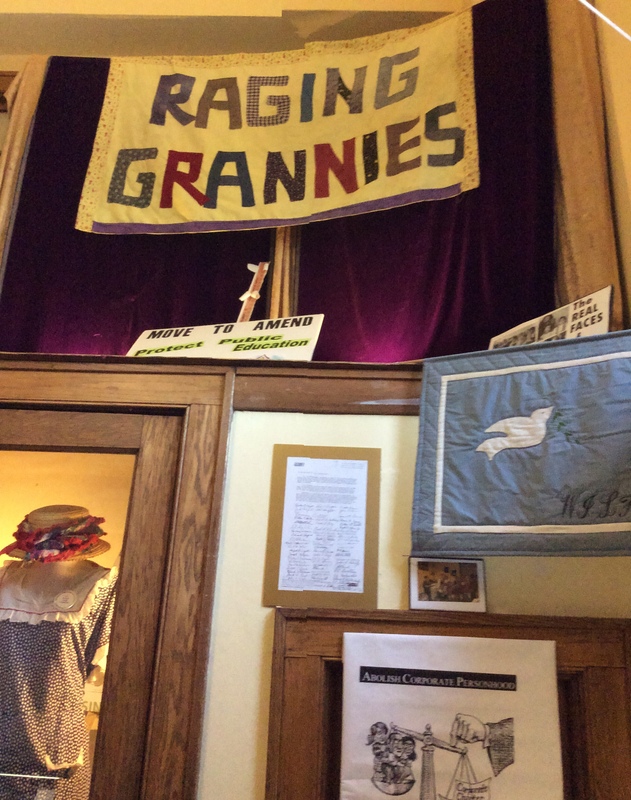 This Centennial Celebratory Exhibit provided historical context and coverage of modern WILPF Activism. 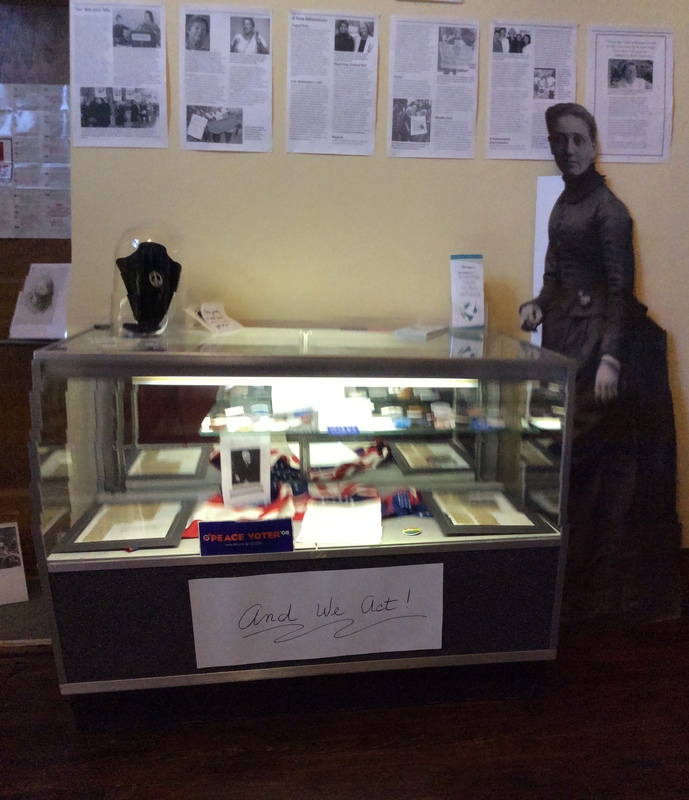 Historic documents with lifesize Jane Addams cutout. 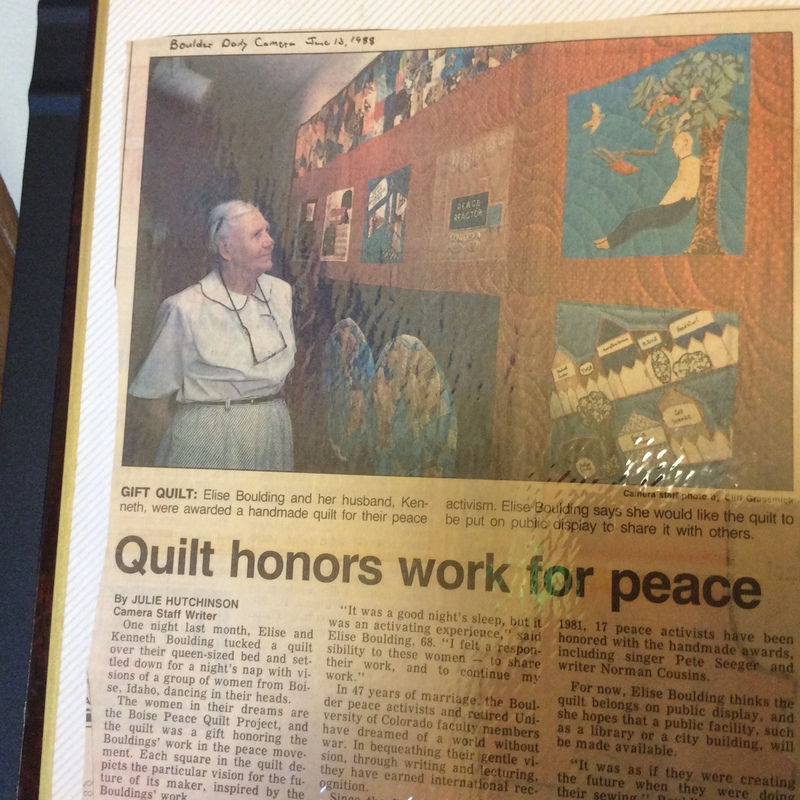 Elise Boulding with Peace Quilt made for her. 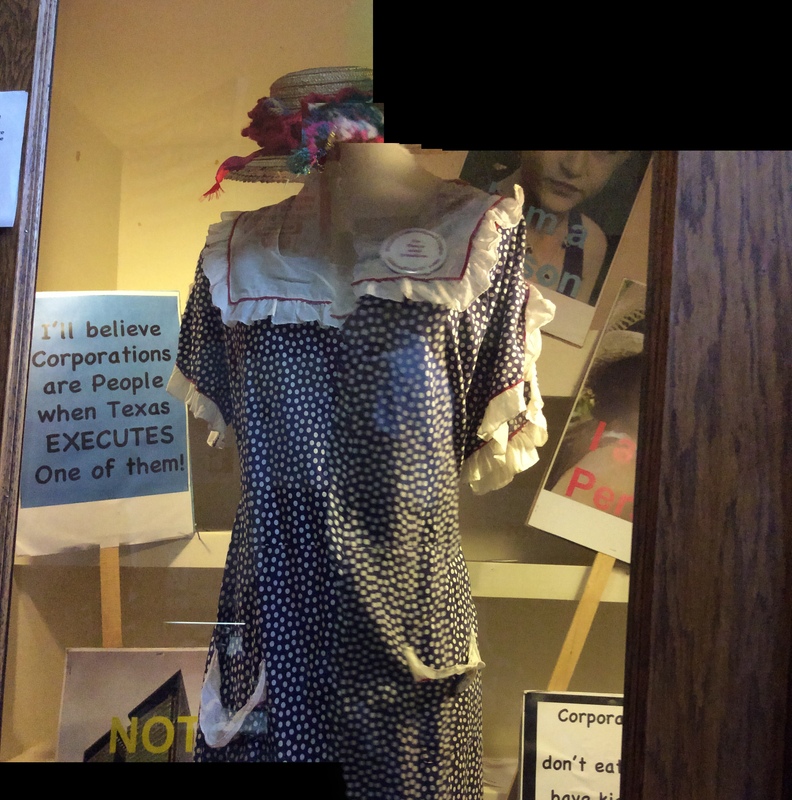 More archival materials from WILPF in Bloomington, Indiana.